David O’Meara’s charge was sent off favourite over this six furlongs in mid-February, after winning his two previous outings at the track. However, he was a bit keen early on and then found himself pushed a bit wide, before just lacking a gear at the finish to claim a resolute fourth place. His early efforts probably just told a bit at the finish that day and the handicapper has left him on an unchanged mark for the Betway Handicap. Iconic Girl has shown some ability in two outings so far and can finally hit the target in the Sun Racing Novice Stakes. She stayed on over seven furlongs on her racecourse bow back in November, while switching up to a mile on her most recent effort saw her claim a fair third. It may be that she wants a middle-distance trip in time given her pedigree, but this might be a nice opportunity to get a win under her belt. Solar Park dotted up in a very average event when last seen but can rise to a stronger challenge in Newcastle’s Ladbrokes Handicap. 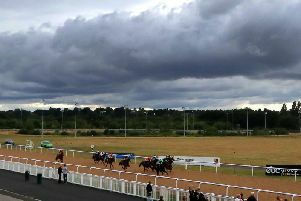 Thereabouts on his first couple of starts in January, the three-year-old was sent off the 1-8 favourite at Wolverhampton and won as he liked by 13 lengths. While the opposition was not up to much, the manner of Solar Park’s victory was very pleasing and he is an interesting contender from a starting point of 75. At the other end of the scale, Charles Kingsley was a disappointing odds-on shot on his most recent run but can redeem himself in the Betway Live Casino Novice Stakes. He won a moderate Beverley heat on his racecourse debut last September and then found it tougher going when a close-up fourth at Lingfield at the end of December. Mark Johnston has freshened him up since that effort and he could be up to defying top weight here. Emitom has his prep outing for Aintree in the RR Elite “National Hunt” Novices’ Hurdle and he is hard to oppose at Newbury. Unbeaten in his two bumper and two hurdles outings, Emitom had subsequent Grade Two winner Lisnagar Oscar well beaten at Ffos Las back in November, before strolling home in a very weak affair at Lingfield. Warren Greatrex holds this one in the highest regard though, with the fact connections run here rather than at Kelso on Saturday speaking volumes. Notachance should appreciate the switch up to three miles in the Rickety Bridge Handicap Hurdle. Alan King views this five-year-old as a future chaser, but he has been consistent over the smaller obstacles and should be in the shake-up again. Donald McCain has endured a trying few weeks due to an outbreak of equine flu in his yard, but Thyne For Gold can put the smile back on his face in the 888Sport Download The App Handicap Chase at Doncaster. He made a mistake with three left to jump on his most recent start at Wetherby, with that slip bring a loss of momentum and any chance of glory. Wilde Spirit is the pick in the 888Sport Follow Us On Instagram Mares’ Handicap Hurdle as she returns from a lengthy break. DONCASTER: 2.10 Legal History, 2.40 Buck’s Bin’s, 3.15 Thyne For Gold, 3.45 Wilde Spirit, 4.20 The White Mouse, 4.50 Chief Brody, 5.20 Poppy Kay. DUNDALK: 5.15 Your Pal Tal, 5.45 Winter Gold, 6.15 Burning Lake, 6.45 Surrounding, 7.15 Dandys Gold, 7.45 Antilles, 8.15 Chaparral Dream, 8.45 With A Start. LINGFIELD: 2.00 In The Red, 2.30 Iconic Girl, 3.05 HIGHLAND ACCLAIM (NAP), 3.35 Red Touch, 4.10 Alicia Darcy, 4.40 Moonlight Spirit. NEWBURY: 1.45 Duc De Beauchene, 2.20 Astrologist, 2.50 Instant Replay, 3.25 Emitom, 3.55 Notachance, 4.30 Moving In Style, 5.00 Pogo I Am. NEWCASTLE: 5.30 Charles Kingsley, 6.00 Lord Rob, 6.30 Epeius, 7.00 Star Of Valour, 7.30 Solar Park, 8.00 Intense Starlet.